Review of applications will start on January 15th, 2019. The University of Oregon, Department of Earth Sciences seeks a skilled field technician to pursue our mission of real-time, multi-hazards monitoring. Based in Eugene, OR, this position travels across Oregon and adjacent states to maintain and operate a monitoring system that collects scientific data to increase public safety and resiliency. We seek a technician to monitor, troubleshoot, repair, construct, install, test and maintain digital instrumentation, data telemetry infrastructure, and networking systems. This position oversees the design and maintenance of digital monitoring systems and related telemetry. We value the capacity to work independently with minimal direct supervision as well as in a highly coordinated fashion within a collegial team, both in the lab and the field. The position involves coordinating with the federal, state, and local agencies to define and employ best practices and to communicate technological innovations. The Department of Earth Sciences at the University of Oregon is soliciting applications for its open applicant pool. Positions are limited duration post doc or research appointments that are part time or short term, contracts not to exceed one year. Possibility of renewal up to a total of three years, depending on program needs, funding, and performance. The successful candidate will have the ability to work effectively with faculty, staff, and students from a variety of diverse backgrounds. Examples include research assistants or associates, postdoctoral fellows, and field research assistants. Research assistants conduct research under direction of a principal investigator; postdoctoral research associates conduct research under the direction of a faculty member for the purpose of acquiring research training; research associates conduct research with only general guidance. Applications will be accepted on a continuous basis. Screening of applications will take place only as positions become available and continue until positions are filled. This pool will remain active until June 1, 2019. 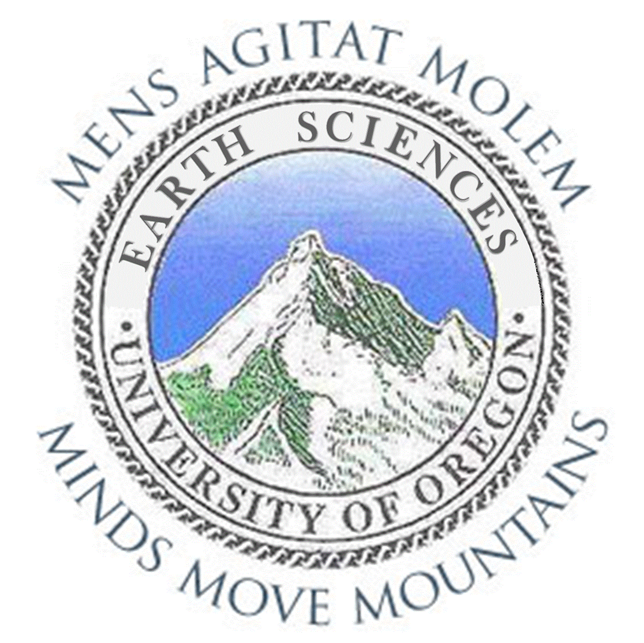 The Department of Earth Sciences at the University of Oregon is soliciting applications for its open applicant pool. Positions are limited duration teaching appointments that are part time or short term, contracts not to exceed one year. Possibility of renewal up to a total of three years, depending on program needs, funding, and performance. The successful candidate will have the ability to work effectively with faculty, staff, and students from a variety of diverse backgrounds. Examples include summer instructors and academic year instructors. Applications will be accepted on a continuous basis. Screening of applications will take place as positions become available and continue until positions are filled. This pool will remain active until June 1, 2019. The Department of Earth Sciences invites applications for a three month residential fellowship as a Meierjurgen Faculty Fellow for one term during academic year 2019-20. Requirements are one term in residence and one departmental seminar. The recipient will receive a $15,000 salary. Selection criteria include academic merit, collaborative ties with faculty, and likely use of departmental facilities or regional field areas. PhD in geology or related field required from an accredited institution. The Department and University house an array of modern instrumentation and we are located in a geologically active region. Candidates with experience serving the needs of diverse populations are strongly desired. To learn about the history of this position, please go to https://earthsciences.uoregon.edu/about-us/visiting/. PhD in geology or related field required from an accredited institution. Application consists of a one-page letter of intent indicating the desired term of residence and complete curriculum vitae.